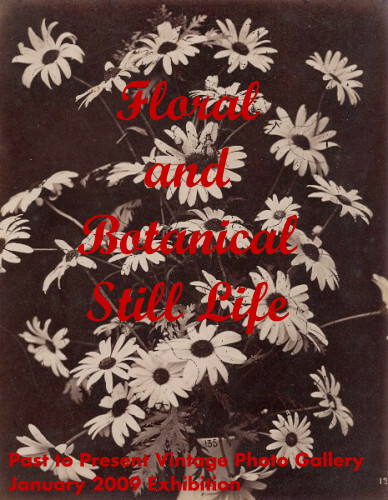 Our January 2009 exhibition features a series of anonymous albumen prints of floral and botanical studies from around 1880. Each print is on a same size cardboard mount and none is signed. All are numbered in the negative. The subjects we plan to showcase next are pre World War I Aviation and World War II Japanese photos.